Superman Adventures #41 was unsual inasmuch as it featured 22 one-page stories rather than one 22 page story. 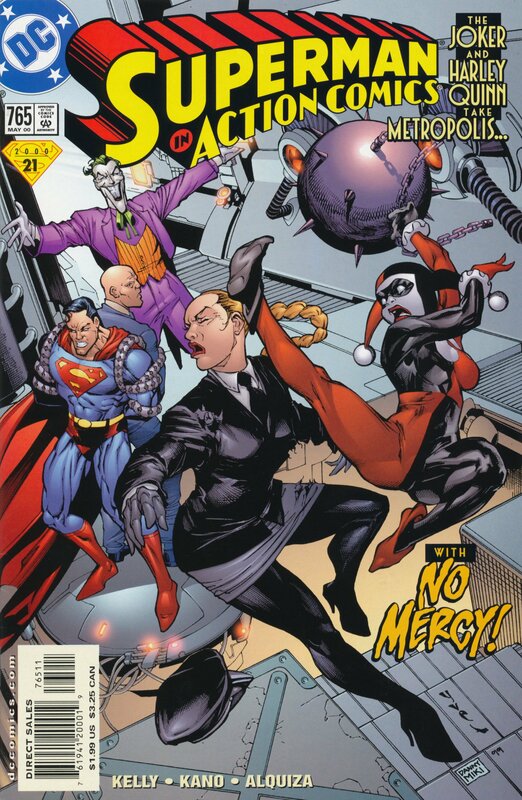 I was drawn in by talk of a JxHQ week, so thought I’d contribute by putting together a little post of all the best Joker & Harley bits from the comic adaptation of The Batman & Superman Adventures: World’s Finest. I see this as much like picking the particularly cute and funny chocolate chunks from a cookie.